HÀ NỘI — The Government has aimed to prevent the construction of high-rise buildings in central Hà Nội, but investors have still found ways to get licences for their projects, according to construction expert Trần Ngọc Hùng. “So far, despite many attempts, the city hasn’t thoroughly resolved the issue,” he said. According to Trần Ngọc Hùng, chairman of the Việt Nam Construction Association, 20 years ago, on June 20, 1988, then-Prime Minister Võ Văn Kiệt approved the Hà Nội Master Plan towards 2020, aiming to build a modern capital. Hùng said the plan stipulated limiting the population “from the Ring Road No 2 to Vĩnh Tuy, Ngã Tư Vọng, Ngã Tư Sở, Cầu Giấy, Nhật Tân” to below 800,000 people, a target that has already been drastically exceeded. In the metropolitan area, landscape architecture was to "limit the height of new buildings and only arrange high-rise buildings in some suitable locations." However, he said investors of high-rise buildings had various ways of obtaining construction permits from State authorities. This, according to Hùng, led to a series of licensed high-rise building projects, overloading both technical and social infrastructures. Hùng said the locations of high-rise buildings and the number of floors of each building in the inner city, especially in the Ring Road No 1 area, should be considered carefully. “Thành Công Lake is covered by a series of high-rise buildings that turn the lake into a pond in the city centre,” he mentioned as an example of poor planning. Agreeing with Hùng, architect Trần Ngọc Chính, chairman of the Việt Nam Urban Development and Planning Association, added that the boom in high-rise buildings without control was due to investors seeking big bucks. The city People’s Committee has issued regulations on the general planning and management of high-rise buildings in the five main districts of Hà Nội, including Ba Đình, Đống Đa, Hoàn Kiếm, the northern part of Hai Bà Trưng and the southern part of Tây Hồ. Under the regulations, high-rise buildings along both sides of Ring Road No 1 can be no taller than 24 floors with a total height of 86m. The maximum height for the buildings on both sides of Ring Road No.2 is 27 floors and 97m. Buildings along the Hồng (Red) River dike can be no taller than 21 floors, no greater than 76m in total. 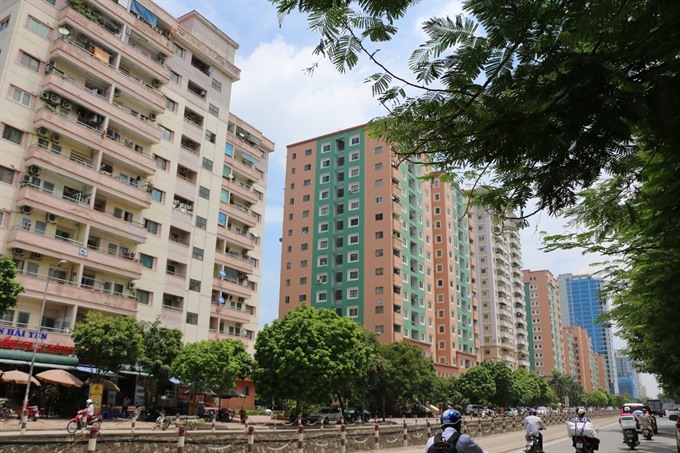 Old high-rise buildings in five districts are allowed to be renovated from 21-24 floors, including those on the streets of Nguyễn Công Trứ, Giảng Võ, Hào Nam, Ngọc Khánh, Thành Công, Khương Thượng, Vĩnh Hồ, Láng Hạ, Phương Mai and Thanh Nhàn.